Cage Warriors 95 will be headlined by a welterweight title bout between two dangerous finishers Mehrdad Janzemini and Stefano Paterno. The card takes place on Saturday 21st July at Indigo at the O2 Arena in London. Mehrdad “9 Shots” Janzemini (9-2) comes into this title bout on a five-fight winning streak with nine first-round finishes on his record. Janzemini has spent time at the Renzo Gracie Academy in New York, where he trains alongside Jake Shields and Garry Tonon under the tutelage of John Danaher. Mehrdad only took 31 seconds to knock out Brad Wheeler in spectacular fashion at Cage Warriors 92: Super Saturday in March. Stefano Paterno (11-2-1) has a 91% finishing rate and is undefeated in his last seven bouts. The Italian scored a first-round knocked out against UFC veteran John McGuire to capture the IFC welterweight title in May. Paterno is a veteran of Italian promotion Venator FC, where he reached the finals of their one-night welterweight tournament last October. 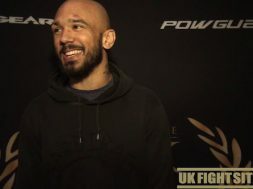 The Cage Warriors welterweight title was vacated by Karl Amoussou after he signed with Brave Combat Federation. 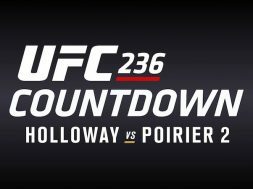 previous UFC 226 Results Cormier Makes History!